Hi Lia (& Team): I adore your blog! You truly take paper crafting to a whole new level! And I, for one, am thankful that you are sharing your great ideas with us. 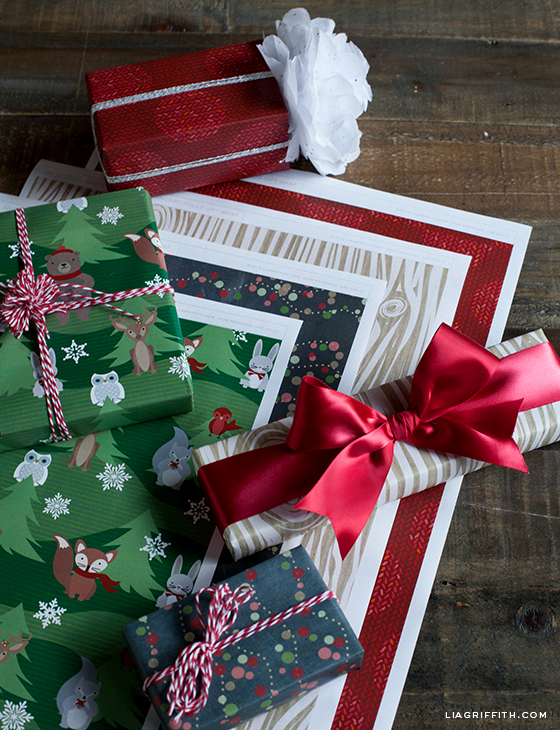 Like this beautiful printable wrapping paper. 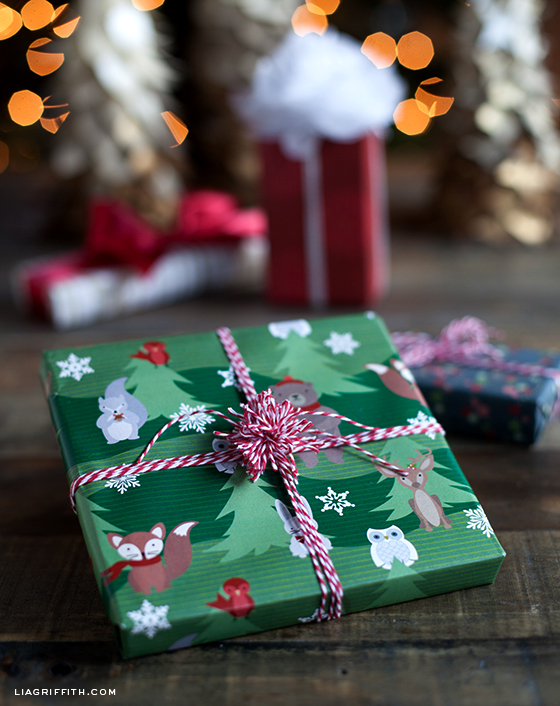 Not only did I use them for my holiday gifts (with lots of oohs and aahs), but I also recently featured them in my collection of favorite gift wrapping ideas. Please stop by to see at http://www.createdbyv.com/the-art-of-gift-wrapping. Keep the amazing inspiration coming! I was finally able to download the papers. Yeahoo.
. My printer will ask me if I want to have it printed at FedEx. She’d need to have a special office printer to be able to print out larger paper. They’re pretty pricey. That or print two copies, try to match them up, tape together. I’m no expert so saying what I think may not be correct. Hope I’m right for your reader’s sake. Thanks again for the gorgeous papers. Was worth waiting for. Yes, most home printers are 8.5 x 11. That is why I suggest an office supply store or a FedEx office. It is very affordable to print there and the laser printer is a nice finish. Do not want to bother anyone! But all of your other admirers, Quick ?, do u get these printed out for u , the gift wrap ? If not, could u share how u do yours ? Lia, you’ve been great at answering my comments, truly but i have the printer u suggested n looked for paper at target n hobby lobby but just didn’t know what to get the larger size besides card stock will not fit in my printer 🙁 and I want to print these so bad I love love love them 🙂 thanks for all of your time and Lia, yours too n for everything U do!!!! You are welcome Pearl. I love designing them. You are so generous with your time and talents. We all appreciate the beautiful things you share – they make my life much prettier and enhance the gifts and cards I make – so for people who might never see your website (my elderly aunt) they can still see your art. Thank you. That is such a sweet thought. It warms my heart. Thanks Laura. Oh! Lia, that nice all your gift-packages are so beautiful that almost no matter what you have inside, hehehehe. Moltes gràcies per oferir-nos-els tan generosament. Thanks Anna! Don’t tell anyone, but most of these boxes are empty. haha. thank you so much for these lovely papers !!! I’m kinda lost as to what paper to use at home? Scrapbook paper colored? Or white card stock? Idt neither is the size you mentioned but a bigger size won’t fit in my printer 🙁 help plz! These r too cute!!! Going to Hobby Lobby tomorrow so if u have time please help! 🙂 thanks !!! If you are using these as gift wrap, then a lighter paper works best. You will need to print onto white paper or it will get muddy. The best printer for these is the laser which you can have your office supply store print for you for around $1 for the larger sheet. Does that help? Thanks Shelly! I do enjoy making these. Love the Wooly Dots! You always have everything in just my style. Thank you. EVERYTHING you make is utterly awesome. 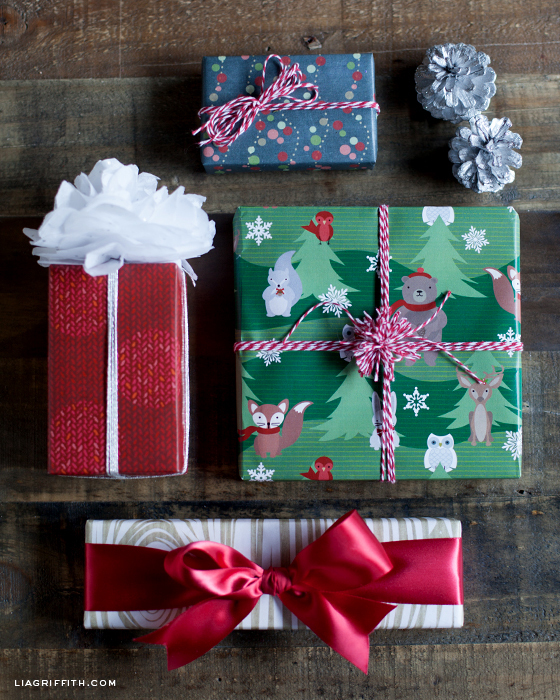 I am so happy to know I am not overwhelming at least one person with my gift wrap obsession. haha. Thanks! You are so sweet. I have cute gift tags with these little guys coming too. Thankyou so much, I love your webpage. You are so talented and very kind sharing so much with us all. Thank you so much for the lovely papers. I enjoy your posts and love your style. Awesame – and supercute!!! Thanks so much, LOVE it!! !